The Easter Experience brings the passion and resurrection of Jesus to life through dramatic storytelling and challenging teaching done in a highly cinematic style. Through these in-depth teachings, you and the members of your small group will grow spiritually, bonding with each other and the eternal message of Easter. 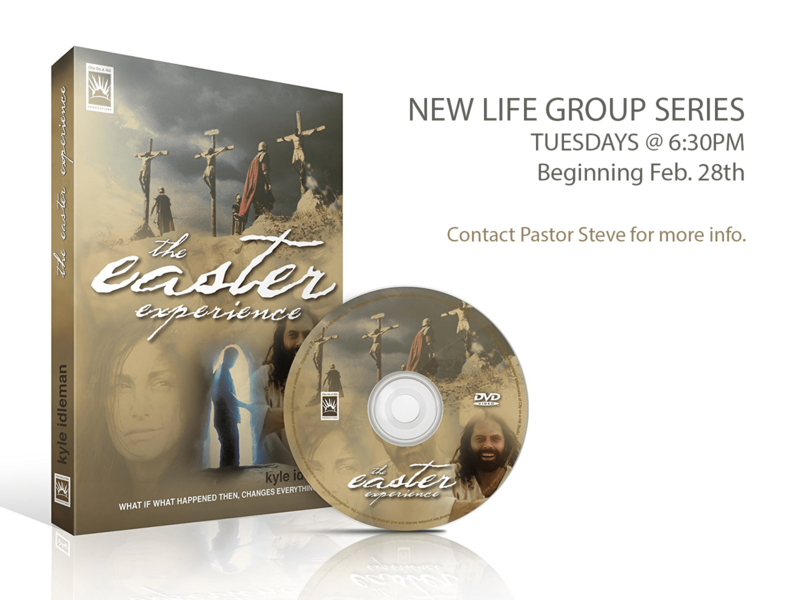 Pastor Steve can be contacted at sforrester@lifechurchcalvert.com . This Life Group will meet each Tuesday for six weeks beginning 2/28/17.